During the past few years, we have seen a massive innovation in the field of biotech that provides countless benefits on various industries. We witnessed how the farmers have increased their annual harvest by making the crops highly resistant against disease, insects, and others. This innovation has extended in the health industry by combining technology with biology in order to extend, improve or perhaps restore our life. A group of researchers at University of California have successfully created a device that can identify an oral cancer by testing only a tiny drop of saliva from a patient. Taking an extensive and costly biopsy is now virtually eliminated. It has the capacity to identify protein that is related with the cancer cell by reacting with the dye located at the sensor. With the use of a microscope, you will be able to detect the luminescent light that is being emitted by the specimen. Some expert also noted that the same concept can be used to identify various types of diseases. One trouble that is evident in prosthetic is that it is quite difficult to monitor. Those who have complete limbs know where their limbs are even without monitoring them; unfortunately, you cannot say the same thing about the amputees. This is because our skin is a sensitive gland. It has the capacity to detect even the tiniest change in the intensity and direction. To address this issue, Karlin Bark from the Stanford University is designing a device that is intended to stretch the skin to create that ‘feedback’ on the movement and the position of the amputee’s limb. The risk of having glaucoma increases as the pressure inside our eye build up which can eventually damage our retina. The University of California has designed contact lens comprised with conductive wire that will constantly monitor the fluid flow and pressure in our eyes. It will then transmit its findings wirelessly in a small device. The data will be essential to help the doctor to understand your disease better. For individuals who have lost their speech ability, Ambient Corporation has designed a speech engine that will allow you to produce audible voice. It utilizes electrodes that have the capacity to detect signals travelling on the brain and into our vocal cords. The patient will simply imagine a word then the signals will be transmitted into the computer which will generate the speech. There are so many incredible things that are currently happening in the world of healthcare and medicine. These are some of the great advancements and development that will further improve the field of medicine in the future. When it comes to healthcare, the US is often seen as the nation that overspends, especially when compared with OECD countries. Such is the cost of health care that Americans spent a whopping $6.5 billion on Humira prescriptions in 2014 alone. Humira is an injectable medication prescribed for the treatment of multiple autoimmune diseases such as rheumatoid arthritis, Crohn’s disease, ulcerative colitis, psoriatic arthritis, etc. US citizens paid an average of $2,669 for Humira. In comparison, the Swiss paid $822 for the same drug. The same drug cost $1,362 in the UK. At this rate, citizens in the UK and Switzerland would have paid a combined $2 billion for Humira in 2014 rather than the $6.5 billion paid by Americans. Then, the US spent nearly 18 percent of GDP on healthcare. In 2016, it spent 17.8 percent of its GDP on healthcare. A new report shows that America has one of the highest levels of spending on health care per person, with $9,403 per capita, which is almost two times what countries like Germany, Canada, Australia, Japan, the UK, France, Sweden, Denmark, and Switzerland, the Netherlands spent. Experts argue that the US spends so much more on health care than other wealthy nations because it has much higher prices across a range of services. The US is currently the only industrialized nation without universal health coverage. That notwithstanding, some US states have enforced healthcare laws to make health care services available and affordable to uninsured residents. According to U.S News, the state of Hawaii is the most affordable US state in terms of healthcare, as only 7.4 percent of the population are unable to afford healthcare. Iowa comes a close second with 92.3% of the population able to afford healthcare. In North Dakota and Vermont, health care services are available and affordable to 91.8% of residents, while in Massachusetts, 91.2% of residents have access to cheap health care services. 91.1% of Americans living in South Dakota can access affordable healthcare services. Minnesota offers healthcare services for cheap to 90.5 percent of residents. Healthcare services are also reasonably affordable in Connecticut as only 9.9 percent of residents are unable to afford to see a physician. 89.9% of residents in Washington have access to affordable health care, while in New Hampshire and Rhode Island around 89.7% of residents can afford doctor visits. One may blame the controversies surrounding the Affordable Care Act (ACA) for the US falling far behind other developed countries regarding access to affordable health care. However, the US would still rank far behind among advanced countries even with the ACA. Aaron Caroll, in a report for the New York Times, stated that a large percentage of Americans were still not covered “even when the rate of the insured was best.” Also, US patients find it way more difficult to see a physician than other countries. The main reason for this is that the fewer physicians per population than other industrialized nations. Giving people insurance will further compound the issue, as many more people will want to access care. It remains to be seen how things will go from here. Current events,and risings costs in medical care, suggest that America is still a long walk away from making healthcare affordable. Prescription drug addiction is a fast-growing global problem – one that has no respect for boundaries of geography, creed, or culture. It spreads diseases, reinforces crime, and lowers the productivity of human resources through its negative influence on users. Even worse, we are often reminded, in a most tragic way, of the deadly consequences drug use can bring. Every year, prescription drug abuse kills more people than car accidents, per a Drugwatch report. A TheGuardian piece states that more Americans died from overdoses in 2015 than car crashes and gun deaths combined. But how does prescription drug addiction in the US compare to that of other nations? 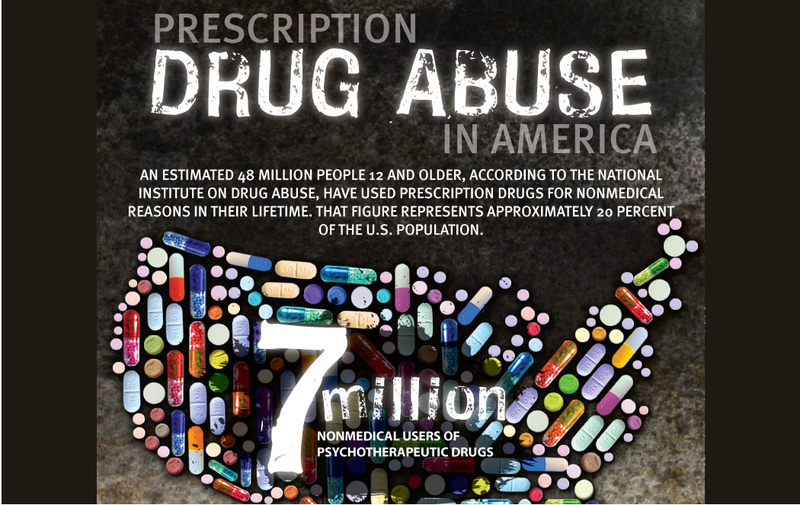 It’s no secret that prescription drug use is a pervasive problem of major American concern. Data from the 2016 National Study on Drug Use and Health show that an estimated 28.6 million US citizens who are 12 years or older used illicit drugs in the period leading to the study. A further 54 million Americans who are at least 12 years of age have used prescription drugs for nonmedical reasons during their lifetime, according to the Talbott Recovery. America makes up about 5% of the world’s population – but accounts for approximately 27 percent of the world’s drug overdose deaths, according to Vox. The culprit? Prescription opioids like Oxycontin, tramadol, methadone, morphine, fentanyl or Vicodin. These drugs are often used to ease chronic and acute pains, such as those associated with cancer. However, what was initially intended for good ended up paving the way for a national health crisis when it became severely abused. In 2015, an estimated 8.5 million (3%) Americans misused opioid painkillers, while about 2.5 million were addicted to either heroin or painkillers. Over 33,000 people died after overdosing on illicit drugs. In contrast, of 507 million people, only around 1.3 million (0.4%) were considered high-risk opioid users in the EU, per the Vox report. Opioid overdose deaths were put at 6,800. In 2015, about 62,000 died of drug overdoses in Asia, while in America alone, around 52,400 citizens were lost to drug overdoses that same year. Data show that Americans consume about 30 percent of the global opioid supply. In addition, Americans consume the vast majority of the world’s opioids, including 99% of the world’s hydrocodone. Used for treating bacteria that cause illness, antibiotics are the most widely prescribed drugs. This also makes them one of the most abused. Antibiotics abuse often leads to superbugs, a form of bacteria that are resistant to many – if not all types of antibiotics. Some of the most commonly prescribed synthetic antibiotics include Ciproflaxin (Cipro), Penicillin, Levofloxacin (Levaquin), Moxifloxacin (Avelox), etc. Opioids are synthetic prescription painkillers, although this definition often includes heroin. Examples of synthetic analgesics include Vicodin, OxyContin, Duragesic, Opana, and Dilaudid. Studies show that antidepressants increase the risk of suicidal thinking and may lead to congenital disabilities if taken by pregnant women. Other side effects of these drugs include upset stomach, headaches, and nausea. Citalopram (Celexa), Escitalopram (Lexapro), Fluoxetine (Prozac), Paroxetine (Paxil), etc., are some examples of synthetic antidepressants. Today’s job market now increasingly promotes interaction between different industries, meaning that as a professional you have more opportunities to promote your skills in new sectors of the economy. One such sector that has shown consistent and stable economic growth is the healthcare sphere. Because of technological advances and increased client need for more medical services the healthcare sphere of the economy is booming and there are now more options than ever before for individuals to get involved in this market, even if they are not traditional medical professionals. One of these new career options is healthcare management. The healthcare sphere, because of its incredible growth, is now searching for individuals who have business expertise to assist in healthcare institutions and companies from a financial or managerial standpoint. A business degree now can open doors to lucrative and competitive jobs in healthcare. 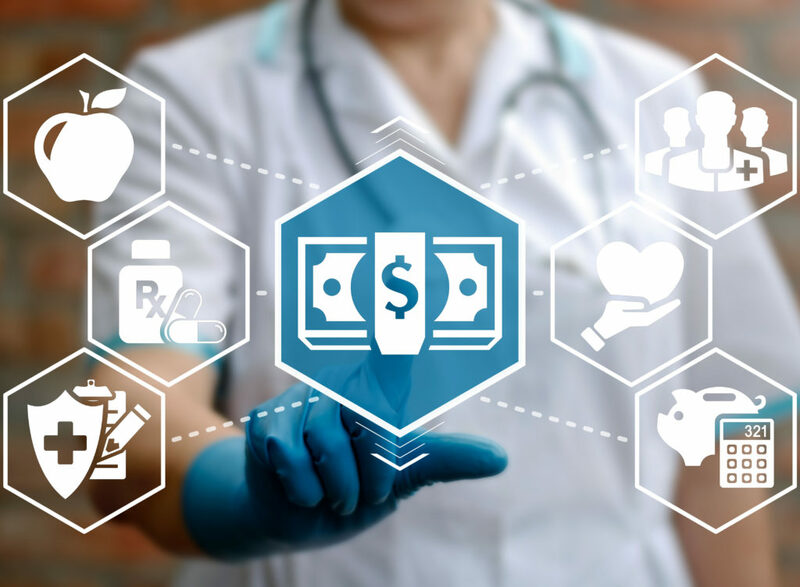 While healthcare is centered around providing clients and patients with medical care, healthcare also requires incredible coordination of information, managing of teams, and other financial business. 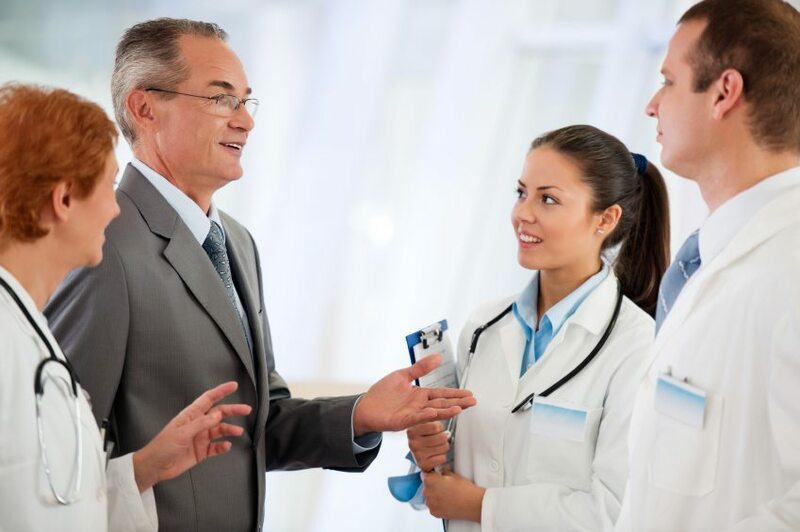 Now, because of the growth of healthcare institutions, this type of work is increasingly being converted into managerial positions filled by professionals with business knowledge. If you possess managerial and business skills you might consider pursuing a career in healthcare that offers you stability, benefits, and opportunities for growth. Unlike other industries, healthcare consistently offers professionals excellent entry-level salaries and competitive benefits. If you have a business bachelor’s degree or are still stuck on which specialization you’re going to take, consider pursuing an MBA in healthcare management. Unlike other business or informational sectors, working in healthcare offers stability. In healthcare, the market is never down and you have the assurance that you will be able to move up the career ladder. Because healthcare is a huge and diverse field, you also have the chance to work in a variety of different locales, both nationally or internationally, increasing your ability to make lateral moves. Unlike other business degree programs, educational programs that train to directly to work in the healthcare field in a business capacity provide you with a specialized skill set that is still translatable to other industries outside of healthcare. The skills you acquire include knowledge of organizational management, data analytics, and leadership skills that are incredibly helpful in the healthcare field but will also enable you to work in adjacent industries such as the drug and chemical industries or various government agencies. If you are considering going back to school to pursue a business degree that is centered around healthcare management, you can expect to embark on a career journey that will increase your salary and your level of opportunity. Business is always a smart career focus, but coupling this focus with a specialization in healthcare will maximize your potential. If you are interested in working in a high-paced and people-oriented environment in a business capacity, the healthcare sphere is the right place for you. 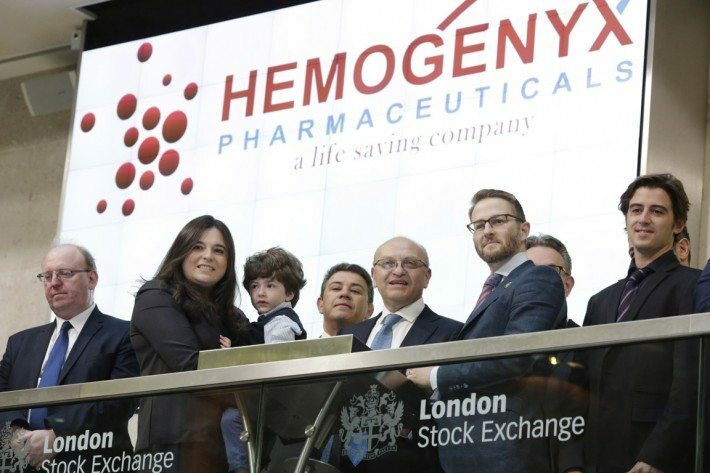 Will London Stock Exchange listed (Hemogenyx Pharmaceuticals (LON: HEMO) be the industry game changer we have all been waiting and hoping for? The vitality of the blood stream and the unimpeded way that it circulates through our different physiological systems is one major factor that determines our health. So do the various elements in it, such as the oxygen it carries, or the red and white corpuscles that compose it. An unhealthy blood stream, filled with toxins, or a clogged distribution system that fails to distribute adequate amounts of it to our veins and organs, can weaken our resistance, hamper our lifestyle, and make us vulnerable to illnesses. Patients of leukemia know of this situation firsthand and struggle with this condition every single day. As described by Medical News Today this illness is a cancer of the blood or the blood marrow, both of which are afflicted with an overproduction of white blood cells. These unhealthy white cells duplicate at an accelerated rate and end up crowding out the healthy ones and even cause their rapid elimination. The elimination of the healthy white blood cells that are responsible for strengthening a person’s immune system thus makes them weak and susceptible to many illnesses. Their body’s natural ability to fight off infection also decreases. Soon, they will have a hard time breathing and, in the absence or significant reduction of healthy red blood cells, their skin pallor will change to pale or deathly white. Other symptoms and signs of leukemia include the following: chills, continual flu, night sweats, pain in the bone structure, perpetual fatigue, and weight loss. According to Indie Gogo, an estimated 150,000 individuals in the United States alone will be diagnosed with this debilitating illness. Hemogenyx Pharmaceuticals (LON: HEMO), a dynamic healthcare and medical research company that is pioneering more breakthrough treatments of leukemia, places the total number of Americans suffering the illness at more than one million. Hemogenyx also points out the inadequacy of the current treatment being given to these patients. The transplant of a healthier bone marrow, uncontaminated by the non-stop duplication of white cancer cells, is the usual medical response to alleviate leukemia patients of their condition. It is regarded that once the ailing and weakened bone marrow is replaced by one that has all the right red and blood cells, and none of the cancerous production, the patient’s body will stop suffering the onslaught of the lethal cancer cell replication. The right amount of red and white cells in the bone marrow will also correct his physiological system. Unfortunately, while well-intentioned and popular, the bone marrow transplant carries its own intrinsic flaw, which sometimes cannot serve certain patients in the long run. According to Hemogenyx’s own research, there is an acute shortage of bone marrow donors who will make the transplant possible. Only 60 percent of the entire number of patients can find a suitable donor. Then, assuming that the hospital or medical center does reach one and can facilitate the transplant, 50 percent of the cases fail after the operation. The reasons usually have to do with the compatibility of the donated organ and the patient’s own physiological system. This failure rate is high and can leave the patient worse off than before; not only did the transplanted bone marrow not work, but their entire physiological system has been made weaker. They also lost a significant number of days in their life that could have been better spent enhancing it. Worse, they may not have enough strength to withstand another bone marrow transplant, which effectively reduces their chances for healing and recovery. The above-mentioned common and sad scenario makes the revolutionary technique discovered by Hemogenyx even more ground-breaking. The company is changing the way bone marrow transplants are done to the point that it may even replace chemotherapy. All the one element that will make the patient’s treatment and recovery possible comes from their own body. Compatibility with another person’s donated organ or tissue then no longer becomes an issue. The key to the patient’s healing is also a bunch of cells, known as the Adult Hemogenic Endothelium (AHE), that can be found in the microscopic blood cells of grownups. The AHE cells can be tapped to regenerate and revitalize the ailing patient’s entire blood system and not merely be used to combat the production of unhealthy blood cells. This discovery was made by Dr. Vladislav Sandler in 2012, and Hemogenyx has since then been pushing it towards Phase 1 Clinical trials. A brilliant scientist, Dr. Sandler led Hemogenyx in winning the prestigious 43North, the largest business competition in the world with over 7,000 entrants. He discovered the AHE cells in the body that were previously thought to disappear at birth. Also known as postnatal human hemogenic endothelial cells (Hu-PHEC cells), they are either taken from the umbilical cord and placenta or the patient’s liver biopsy. To date, the procedure sounds simpler and more convenient than the conventional bone marrow transplant. The doctor can easily track down the AHE cells that are present in the patient’s own organs such as their liver. A simple biopsy can remove and isolate these cells from their original location and then prepare them for transplant. These cells are not dangerous nor malignant; neither do they contain the mutations that lead to the cancerous cell production that leads to leukemia. What seems to be “miraculous” about them is that they rejuvenate the patient’s entire blood stream. To use a science-fiction analogy, the bone marrow transplant is similar to attaching an alien machine component to one’s arm after the limb has been severed. The cybernetic arm may fit and function, or it may not. But the treatment of Hemogenyx is like growing a new, stronger arm where one had been accidentally cut off. Once it reaches full growth, it will look natural on the owner—because it is natural and came from them. Hemogenyx’s technology has the potential to replace chemotherapy and eliminate the side effects that come with it. It also has the flexibility of being applied to other blood diseases such as HIV, sepsis, multiple myeloma, and others. Hemogenyx’s new treatment does not just save patients’ lives; in reinvigorating their blood stream, it might as well have given them a new one. In an age where technology is beginning to take over the world, security is becoming a huge factor. Security procedures are needing to adapt in order to ensure that people are continually protected at all times, whether that’s at the airport, online or visiting the hospital, and there are a number of new technologies that are being implemented in order to adapt and change security procedures. Here, we’re taking a look at how technology is changing security in a number of different sectors around the world. One of the biggest concerns that people have when it comes to going online is whether or not their personal details are able to be stolen. When it comes to filling out personal, financial details on sites like Wizzcash.com or other financial institutions, there is a lot of personal information that could be taken by hackers. However, new technologies like cloud-based systems and biometric scanners can help to ensure that a person’s identity is protected and personal data cannot be stolen without legitimate identification processes. 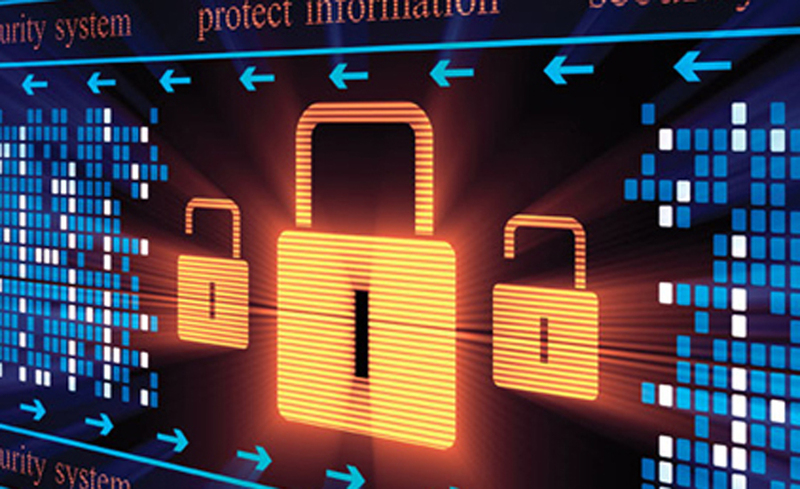 While this is not in practice yet, with huge hacks around the world like the NHS ransomware attack, it is highly likely that stronger security measures will be put in place to protect data in mind. In the US, a company called Analogic uses a 3D scanning system suited to scanning hold luggage, based on the idea of a CT scan. The concept behind this technology is to stop people from having to take out things like liquids and laptops from their hand luggage as it is able to be put through the scanner with any threats indicated quickly and officially. These scanning systems could one day also be rolled out on a larger scale, meaning countries all over the world won’t have to see toiletries being stuffed into plastic bags and left out to put on the trays separately. The E-passport gates in some UK airports not only allow queues to be reduced in the airport when trying to get through passport control, but they also help to heighten security levels without the added hassle and stress. The rise in biometric iris scanners in airports mean that people who may swap their passport with someone they look similar to will get caught instantly, and the gates won’t open. Facial recognition technology is also slowly coming into play, meaning the airport is able to understand and monitor the profile of every traveler trying to go through the gates, further increasing security measures. One of the biggest issues behind patient identification is the lack of privacy and easily accessible documentation. Data isn’t quite as secure in healthcare as many people tend to think, but a number of new technologies are beginning to be introduced in order to reverse this. Biometric patient identification processes are just one example of how these types of processes can be improved, to ensure that data and patient identification documents remain as secure as possible. This will include strengthened security and compliance, locking medical records to ensure there are no mix-ups and also accurately identifying patients to prevent fraud and human error.